Transfer cart. GH Cranes Sp. z o.o. 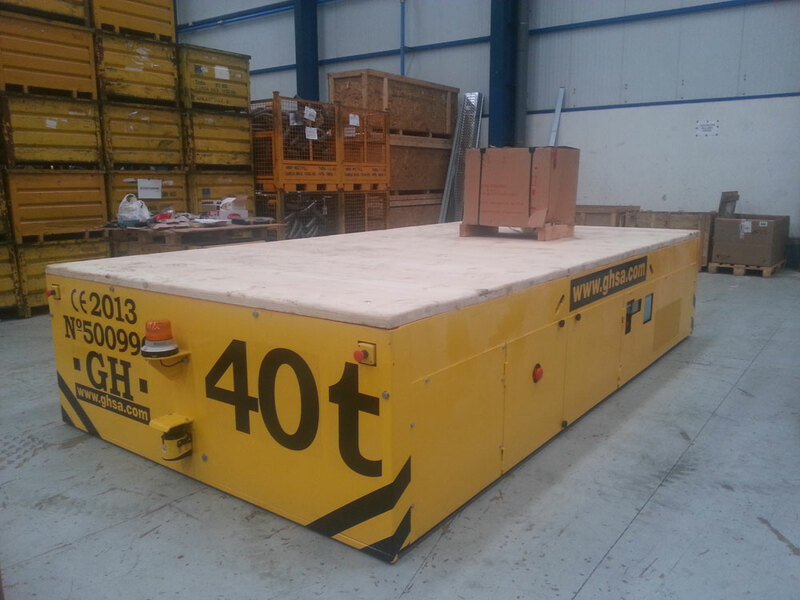 The transfer carts of GH allow movement charges at ground level in all types of industries and applications. also can be adapted to suit your need. They are equipped with all the safety devices needed for ground-level machinery movement. They are an important complement to cranes lifting heavy loads at ground level and the ideal solution for cargo transfer between ships. Steerable transfer carts: These move in any direction. Available in battery powered version. Transfer carts on rails: These move in a straight line. Available in battery-powered or electric versions, with movement via a winder or power line. We manufacture directional transfer Carts (free-moving) from 10 t. up to 60 t. Are autonomous and operate using battery power and can move freely on smooth floors, inside or outside of the ship. The transfer carts on rails (straight line travel only) are manufactured in capacities from 10 t. up to 80 t. Its power supply is produced by the battery and movement is made by rail. Our Transfer carts on rails (straight line travel only) capabilities ranging from 10 t. up to 200 t. They can be powered by winding or by armored line. GH also manufactures rail vehicle transfer carts with capacities ranging from 60 to 150 tons, mainly used for moving trains for maintenance work. They are quick, safe and easy to move.